Homes have been evacuated after an unexploded bomb was found in a garden. 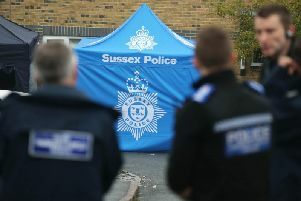 Police said a World War Two bomb was discovered in an outhouse in the garden of a home in Canada Road, Arundel, this afternoon (March 10). A police spokesman said the bomb squad had been called and the houses in the immediate area had been evacuated while they await their arrival.